Posted on November 3, 2016 at 10:55 am. There is a reason for Pokémon Go trainers to login daily soon. Niantic has officially announced that there will be daily bonuses for catching Pokémon and visiting PokéStop in an upcoming update. Catching at least one Pokémon in a day will reward trainers with 500 bonus experience and 600 stardust. The bonus grows significantly if you do this seven days in a row, increasing the reward to 2000 experience and 2400 stardust. Checking PokéStop daily will net trainers with 500 bonus experience and a number of additional items. Niantic does not specify the additional items in detail. Trainers who continuously spin at least one PokéStop daily for seven days in a row will receive 2000 bonus experience and a greater number of additional items. Niantic confirms that the daily bonus resets daily at 12 AM local time, so if you catch a Pokémon at 11:59 PM on Tuesday, the daily bonus for Wednesday will be available at 12 AM local time on Wednesday. 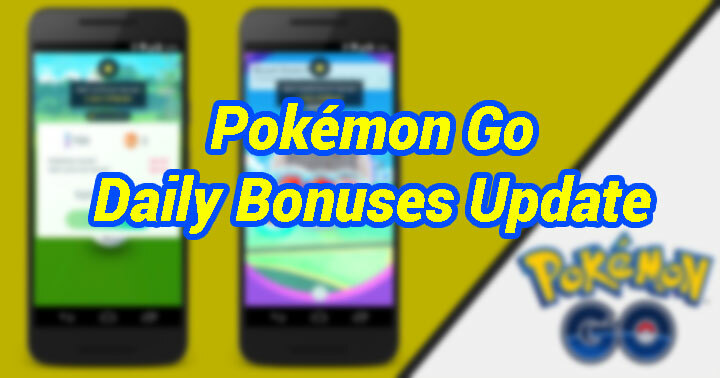 Although the Halloween event is over now, the introduction of daily bonuses should give trainers a reason to login daily and retain some of the players. Niantic did not specify a date for the feature update yet, so sit tight for the update to be released.